shawk | Mariner Biomedical, Inc.
Mariner Biomedical introduces the newest addition to their line of outdoor skin protection products. Deter Exposure Defense provides effective protection against wind, cold, heat, sun, and low humidity. San Jose, CA January 16, 2014. Mariner Biomedical, Inc. announced they will unveil their latest product, Deter Exposure Defense, at the upcoming Outdoor Retailer Winter Market in Salt Lake City. The company’s new multifunctional product provides an effective defense against the main threats to exposed skin encountered while participating in extreme outdoor activities. Deter Exposure Defense combats the effects of wind, cold, heat, sun and low humidity. These environmental threats can damage skin leading to dryness, irritation, inflammation, accelerated aging and potentially more serious skin conditions. 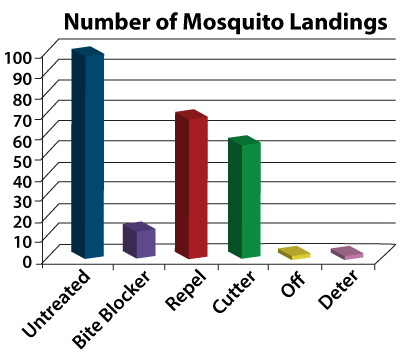 Deter Exposure Defense fights environmental challenges in three ways. First, it provides an invisible cover which reduces trans-epidermal water loss and shields the skin from the damaging effects of wind and extreme temperatures. 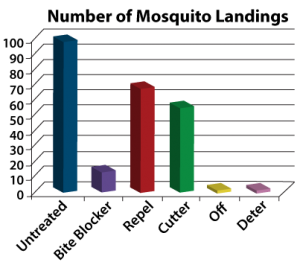 A second level of defense is provided by specific antioxidants which help neutralize damaging reactive compounds called Reactive Oxygen Species or ROS formed during environmental exposure. Third, it provides select lipids which help maintain, support and replenish the skins protective barrier. These benefits are achieved through a combination of long lasting emollients and moisturizers including natural cocoa butter, jojoba oil, meadowfoam oil, olive squalane and coconut glycerides, combined with zinc oxide and titanium dioxide. Antioxidants include stable ester forms of vitamins C and E along with CoQ10, ferulic acid and carotenoids from Dunaliella Salina. Dunaliella Salina is a marine algae which has the ability to survive in extreme ocean environments. It does so, in part, through the protective benefits of unique carotenoids Phytoene and Phytofluene. Research has shown these carotenoids are potent antioxidants and ultra violet light absorbents. Together these special ingredients combine to help defend skin against environmental threats. Deter Exposure Defense is the ideal solution to help shield skin against potentially damaging elements encountered while outdoors. Deter Exposure Defense has a pleasant scent and non-greasy light feel on the skin. It is packaged in a convenient 1 ounce shatter-proof airless pump which easily slips into a pocket or pack. It is safe to use on children and is environmentally friendly. 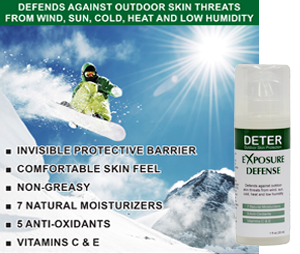 Deter Exposure Defense is the best protection for all extreme outdoor activities, including skiing, snowboarding, mountain climbing, hiking, backpacking and boating. Deter Exposure Defense is a member of the growing family of Deter Outdoor Skin Protection products. For more information visit www.deterinsectrepellent.com. Mariner Biomedical, Inc. is a bio-pharmaceutical company dedicated to developing topical skin care therapies based on scientifically validated natural and marine products that are safe, effective and environmentally friendly. The Mariner Biomedical research laboratory and offices are located in San Jose, CA. Mariner Biomedical has a management and research team with over 50 years of pharmaceutical, biotechnology and clinical research experience. Mariner Biomedical, Inc. announced the addition of Deter SPF 28 Mineral Sunscreen to the Deter Outdoor Skin Protection product line. Deter SPF 28 Mineral Sunscreen was officially launched October 1, 2013. It is a natural zinc oxide based sunscreen offering broad spectrum protection in a comfortable to wear invisible formulation. San Jose, CA (PRWEB) October 03, 2013. Deter SPF 28 Mineral Sunscreen is a zinc oxide based formulation that goes on clear and provides highly effective UVA/UVB protection. Deter Sunscreen is non-greasy with a light comfortable skin feel. 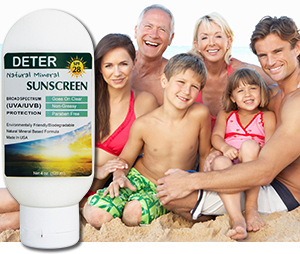 Deter Mineral Sunscreen is formulated to comfortably use throughout the day while participating in outdoor activities. It is the perfect sun protection solution for golf, skiing, hiking, fishing, boating and all outdoor activities. Sun exposure can damage skin causing premature aging along with a number of potentially serious conditions including skin cancer. The most import consideration while outdoors is to protect skin from sun exposure. This can be accomplished by wearing appropriate clothing, avoiding the time of day when sun light is most intense and always applying an effective sunscreen to all exposed skin. There are many sunscreen choices and it is important to select one that provides broad spectrum protection against both UVA and UVB, has an SPF rating of 15 or higher and is environmentally safe. Some sun screen actives tend to accumulate in the environment, and growing evidence suggests they may be harmful to aquatic life. Zinc Oxide is one of the most effective broad spectrum (UVA/UVB) sunscreens providing a physical barrier on the skin which helps block UV light. Zinc oxide is a naturally occurring mineral and is among the safest sunscreens for the environment, an important consideration for anyone participating in outdoor activities. Deter SPF 28 Mineral Sunscreen is based on zinc oxide formulated in a pleasant to use lotion that feels light and non-greasy on the skin while remaining invisible following application. It provides effective protection against the damaging effects of the sun. Deter SPF 28 Mineral Sunscreen is a highly effective broad spectrum zinc oxide based sunscreen formulated in a light non-greasy lotion base. It is comfortable to use during all outdoor activities, will not leave a white residue on the skin and is environmentally safe. Deter SPF 28 Mineral Sunscreen is safe, effective and environmentally friendly, providing consumers with a product that truly works, and one that they can feel good about using on themselves and their family. It is the newest product to join the Deter Outdoor Skin Protection line which includes natural insect repellents, insect repellent plus sunscreen, insect bite therapy and therapeutic lip balm. 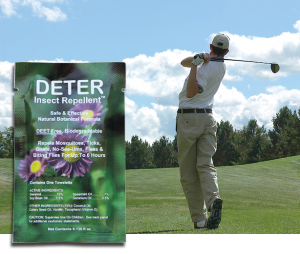 Mariner Biomedical is providing 2,000 towelettes packaged in individual pouches containing Deter Insect Repellent®, a scientifically proven natural insect repellent, to participants of the 2013 US Open Golf Tournament. San Jose, CA, June 12, 2013. Mariner Biomedical, Inc. is providing Deter Insect Repellent® for the US Open Golf Tournament taking place at Merion Golf Club in Ardmore, PA from June 13 through June 16, 2013. The company is furnishing 2,000 individually packaged wipes containing Deter Insect Repellent® to participants, organizers and sponsors. Deter Insect Repellent® has been proven by independent laboratory testing to effectively repel biting insects for up to 6 hours. Deter Insect Repellent® has been well received in the golfing community. It offers effective natural protection for golfers looking for a safe alternative to DEET and other chemical based insect repellents. The individually packaged towelettes are convenient to carry in golf bags or pockets. Deter will not damage golfing equipment like DEET-containing products. In addition to golf, Deter Insect Repellent® is safe and effective for all outdoor activities, including hiking, camping, backpacking and fishing. Deter Insect Repellent’s unique patent pending formula was scientifically developed to ensure safe long term repellency against a wide range of biting insects. Tested in the laboratory and in extreme outdoor conditions it provides ultimate outdoor protection against mosquitoes, ticks, chiggers, no-see-ums, biting flies and gnats. Deter contains a proprietary blend of 8 plant oils and plant derivatives that work together to provide enhanced repellency for an extended period of time. All ingredients in Deter Insect Repellent® are registered as GRAS (Generally Recognized As Safe), and comply with EPA regulations as a minimal risk insecticide. Deter is biodegradable and environmentally safe. It does not contain any DEET, the active ingredient in many insect repellent products that may pose significant health and environmental risks. Deter Insect Repellent® is an effective DEET-free, natural insect repellent based on scientific research. Deter Insect Repellent® is clinically tested safe, Dermatologist approved and proven effective by an independent laboratory. Deter Insect Repellent® is effective against mosquitoes, ticks, no-see-ums, biting flies and gnats for up to 6 hours. San Jose, CA, May 15, 2013 –Mariner Biomedical, Inc. launched its new line of therapeutic skin care products under the brand Kaiderma Skin Care™ on May 1, 2013. Kaiderma Skin Care™ products have been scientifically developed to provide proven therapeutic and nutritional benefits to skin, while promoting relaxation through their sensual feel and scents reminiscent of the tropics. Since its launch, Kaiderma Skin Care™ has been well received in the spa and professional skin care communities. Kaiderma Skin Care™ products are formulated with the highest quality natural ingredients. The product line launched on May 1, 2013 includes Anti-Aging and Repair Serums, Body Oils, Exfoliating Salt Scrubs, Massage Gels, and Lip Therapy. Additional new products soon to be introduced include Mineral Sun Screens, After Sun Repair Serums, Anti-Wrinkle Cream, and Exfoliating Facial Scrubs. All Kaiderma products are formulated in accordance with Mariner Biomedical’s guiding principles of developing skin care therapies based on credible scientific research, formulated with sustainably harvested natural ingredients, and that are proven safe and effective. Kaiderma Skin Care™ therapies contain novel marine active and functional ingredients “The oceans are a rich source of plant and animal derived compounds which provide a wide range of unique therapeutic benefits”, explains Brad Zaro, President and CEO of Mariner Biomedical. Kaiderma Skin Care™ products are formulated to help supplement the essential lipids, vitamins, antioxidants and minerals necessary to maintain healthy vibrant skin. Each product contains clinically proven functional ingredients which help repair and revitalize skin. 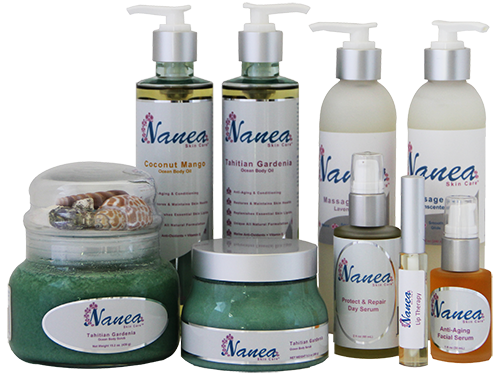 All products are formulated to be biodegradable, environmentally friendly and never any animal testing. Mariner Biomedical, Inc. is a bio-pharmaceutical company dedicated to developing topical skin care therapies based on scientifically validated natural products which are safe, effective and environmentally friendly. Mariner Biomedical, Inc. has a management and research team with over 50 years combined pharmaceutical, biotechnology and clinical research experience.